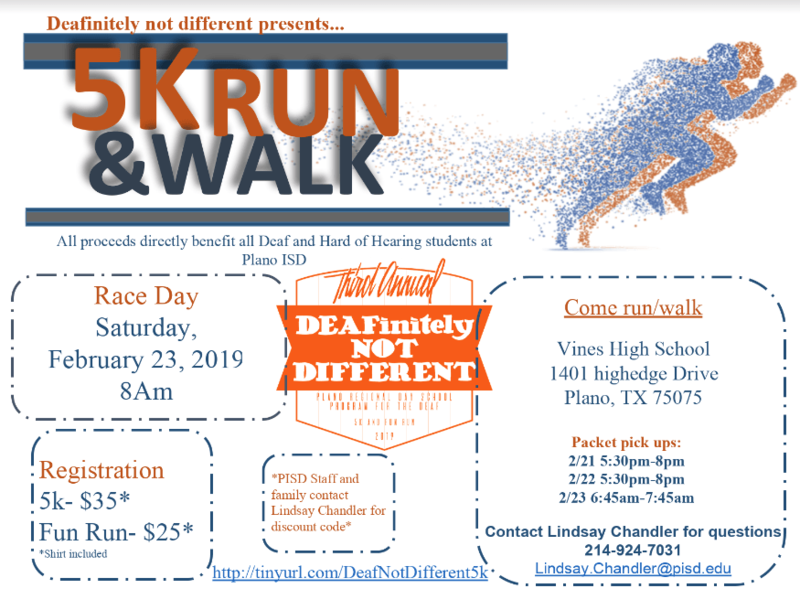 Third annual 5k to support our Regional Day School for the Deaf! Come out and participate anyway you can, run, walk, volunteer or donate. Please sign up ASAP to guarantee a shirt.